I am SO excited about this Give-Away today because today is a SPECIAL day! This Give-Away is in honor my son, Zach. It's his 9th birthday today! 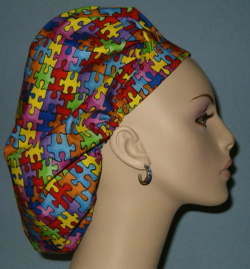 And this Give-Away is also in honor of Autism Awareness. You all know that raising awareness for autism is a passion of mine. 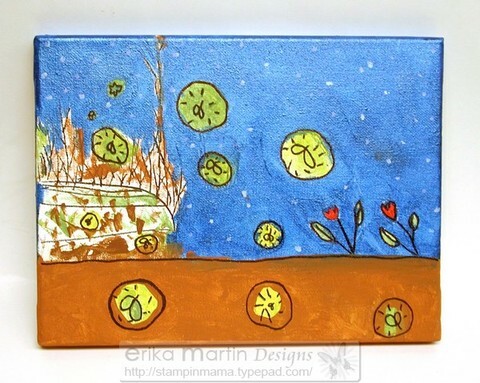 During the duration of this give-away, I'll be sharing links and information about autism, while showing you how I've interspersed my passion for autism awareness into my art. For starters, the guys over at MockUTV.com have created a page dedicated to my son and his story, along with some fantastic links to learn more about autism and different organizations than can help you find services for yourself or to pass on to someone you know that might need them. Knowledge is definitely power and one of the ways that we can help children and adults that deal with autism on a daily basis is to become aware of what this disorder is. You can CLICK HERE to explore these sites. I'm so blessed to be working with some wonderful people that have hearts of gold and have pitched in to help with spreading the word and giving me some awesome prizes to give away. I have 5 wonderful prizes to give away and that means 5 WINNERS! The Love you to Pieces set from GinaK Designs. This set was created to benefit autism awareness and $8.00 from each set sold goes directly to Autism Speaks, an organization that funds research into the causes, prevention, treatments and cure for autism. Gina created this set in honor of my son and this is a set that is truly dear to my heart. Because autism itself and its causes are so puzzling, the international symbol for autism is a puzzle piece. 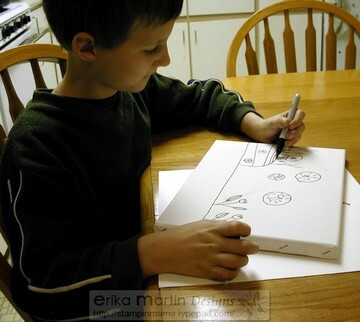 In order to begin to solve the autism puzzle, public awareness of the disorder is crucial. 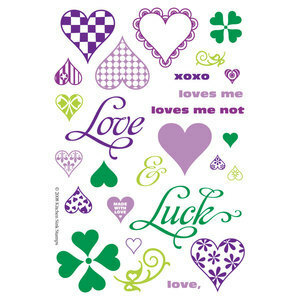 The Love & Luck set from Kitchen Sink Stamps. This set is perfect for making cards and gifts for those you hold closest to your heart. And it's also great for the upcoming St. Patrick's Day holiday next month. 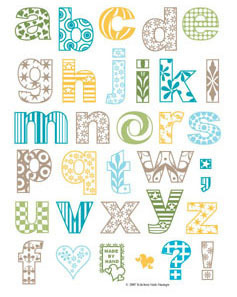 10 cards are made with the Love you to Pieces set and 10 cards are made with the Love & Luck set. 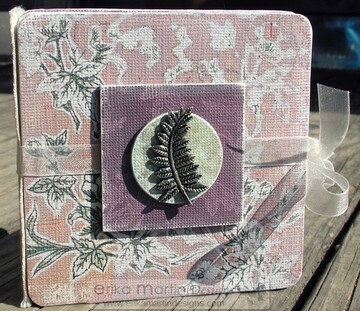 These little cards are 3 x 3 inches square and come with matching envelopes. They're perfect for putting on gifts, tucking into your child's or partner's lunch box, adding to a bouquet of flowers and so much more. The guys from MockUTV (Russ and Kevin) have been so generous with helping raise funds for Autism Support Daily through the sales of this DVD. Originally, this fund raiser ran through November and December, but Russ and Kevin believe in the cause of autism so much that they've decided to make this an ongoing fund raiser. Every time a DVD is purchased, $1.00 will be donated to Autism Support Daily. If you haven't yet gotten a chance to watch the preview for this movie, you can check it out ---> HERE. And to purchase your own copy of the DVD for yourself or a friend, you can click ---> HERE. 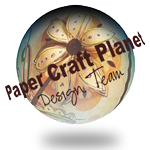 This CD has over 300 pictures of papercrafts that I've designed over the past 18 months. It's an instant picture library right at the click of your mouse. 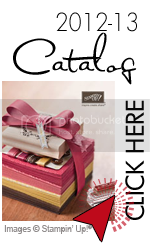 It's full of amazing samples for you to glean fresh inspiration from when you're looking for innovative ideas for your paper crafts. 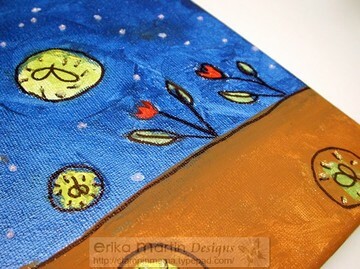 Simply leave a comment on this blog to be entered. And if you want to go the extra mile, help spread the word and send people over. You never know who might need to be exposed to autism and learn more about it. If it weren't for someone sharing in a "Good Housekeeping Magazine," who knows how much time we would have lost in getting Zach the intervention that has helped him so much over the last 7 1/2 years. I'll pick 5 winners with the random number generator on Thursday (2/21) at 11 am Eastern Time and announce the winners here! And make sure to check back each day to learn more about this disorder that affects 1 in every 150 children.....and to see how it touches my life of art. Happy Valentine's Day and Happy Birthday to my Zachy Boy! Help Autism and get a GREAT Deal this weekend! The great guys over at MockUTV are offering a FANTASTIC special on the "Inside Scrapbooking" mockumentary DVD.....the tribute to all of us die-hard papercrafters! And don't forget that they're donating $1.00 from every DVD sold to Autism Support Daily! If you're doing your holiday shopping, you can get some awesome gifts (plus there's a free coupon in each DVD to the GinaK Designs Online Store) and you can help out a great cause! Plus........there's FREE shipping on the DVD. Talk about a win-win for EVERYONE! If you haven't checked out the preview yet, CLICK HERE! It's a RIOT! I Love this DVD. I got it way back when you first posted! HOW Awesome that they are now joining the cause! I will be purchasing a few of these to give away as door prizes for an event I will hold in January at my new Stampin Studio which is opening this weekend! Hooray! This has been MONTHS in the works.... but .. My Favorite part of the preview is when Missy Goldstein (name?) says her mom wore a tshirt when she was pregnant with her that said Futer Scrapbooker ... You can't compete with that!? LOL..Thanks for all the weekly blog candy offers! Autism speaks, it's time we listened! It looks like the majority of you all love the "Scrubby" terms for our "scrapbooker's husbands." My husband is also a "stamper's husband," but I don't think calling him "Stubby" would go over well. haha! Thank you to all of you that have shared this around and posted about the great fundraising effort we're doing for Autism Support Daily over at MockUTV. If you haven't gotten a chance to check out the preview for the hilarious mockumentary, "Inside Scrapbooking." 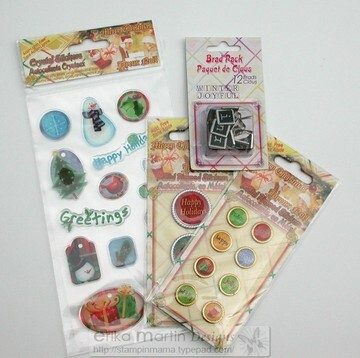 They make great gifts for your scrapbooking and paper crafting friends and you can't beat free shipping AND a coupon inside from GinaK Designs! It's for a great cause, too! It's time for Groovy Give-Away Friday! That means it's time for another Groovy Give-Away! Even being sick this week, it's actually gone by quite quickly for me. My husband mentioned the same thing.....funny how that happens sometimes. So......for this give-away, I found some really cute holiday embellishments and knew they would be perfect as a give-away. The stickers are all really cute epoxy finished embellishments. They have a nice shine and some have gold or silver finishes to the outlines. There's also a pack of square brads that spell out the words, "Winter" and "Joyful." 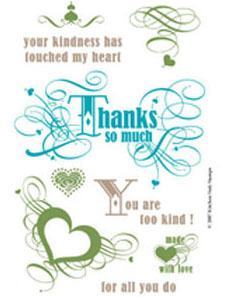 These would be awesome to add to cards or to scrapbook pages. I wanted to add some extra laughs into this give-away. Remember that great video clip I shared with you a couple weeks ago? The "Inside Scrapbooking" video over at MockUTV.com ? If you haven't seen it yet, make sure you click on over to watch it! It's absolutely hilarious and pokes good fun at us die-hard paper crafters and scrapbookers. 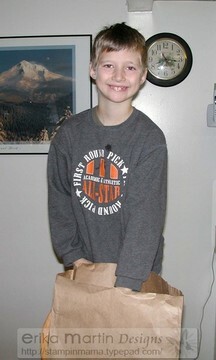 Many of you know that Autism is close to my heart, as my son, Zach, is autistic. The great guys over at MockUTV.com are donating $1.00 from every DVD sold through January 1st towards Autism Support Daily, which is a FANTASTIC organization! Our numbers are climbing, but we'd love to see them get even HIGHER! Let's help out a great cause! You can use these DVDs as stocking stuffers or gifts for the scrapbookers and paper crafters on your holiday wish list. And make sure to treat yourself to one, as well! Click on over to ---> MockUTV.com and watch the preview video of this awesome mockumentary. Then leave a comment on this post telling me what your favorite line from the preview is. * If you purchased this DVD already, tell me about it and I'll put an extra entry into the drawing for you! * Spread the word on your blog or website about this fantastic cause, let us know about it (leave a link to it in your comment) and you'll get a bonus entry in the drawing! I'll pick a winner on Monday (11/19) at 11 am (EST) and announce it here. And make sure to stop on over to MockUTV to get your copy of "Inside Scrapbooking!" 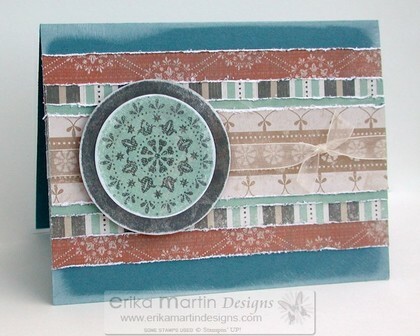 (There's a coupon inside for a freebie from GinaK Designs, too!) Share the news with your crafting groups, on any forums you're a part of, with your friends, relatives......help spread the word and let's make a difference TOGETHER! How can YOU make a difference? 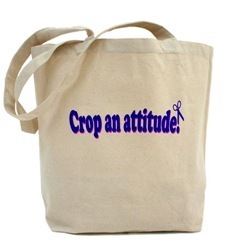 How can YOU win a scrapbooking totebag? I've had some big news brewing that I've been ITCHING to share with you all! Today is the day! It's finally here and I can FINALLY share it with you! Everything is up and running and ready to go! A while back, I shared a really funny clip that I found on YouTube that showed a hilarious peek at the die-hard world of scrapbooking. From that YouTube clip, I found out that an entire mockumentary had been made and put on DVD called, "Inside Scrapbooking" (put out by the twisted and genius minds at MockUTV). I was hooked and when I got my copy, I couldn't stop watching it and couldn't stop laughing at it!